It is regrettable that we couldn’t celebrate free and fair elections on the Independence Day, he said. 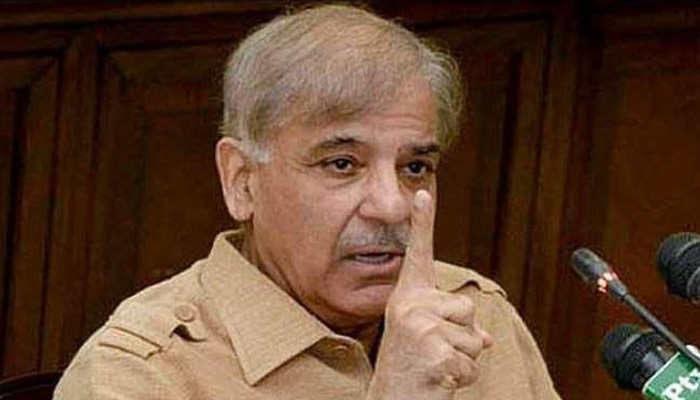 Shahbaz expressed these views at a flag-hoisting ceremony held at the PML-N Model Town Secretariat, where other party leaders were also present. Shahbaz said the PML-N took oath in the assembly only for the purpose of keeping democracy afloat and not watch it sink, otherwise the election results were comprehensively rejected by the people of Pakistan. He paid rich tributes to the Father of the Nation and the thousands of Muslims for their sacrifices for materialising the dream of Pakistan, adding that similar true and pure spirit was required for the country to progress. “The future of a strong Pakistan cannot be erected on the shaky foundations of a rigged election,” he made it clear. He said, “We need to unite as one people and work tirelessly through true spirit of democracy to achieve our objectives this country was created for.” Shahbaz later in the day went to inquire after PML-N senior leader Raja Ashfaq Sarwar at a private hospital, who is seriously ill and is on life-support.